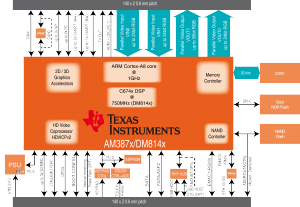 NAON is a ready-to-use CPU module family based on Texas Instruments DM814x (DaVinci) and AM387x (Sitara) Cortex-A8 high performance application processors. NAON covers all requirements for a high range of applications where connectivity, rich user-interfaces and high computing capabilities are required, including industrial electronics, security systems, home automation and medical applications. 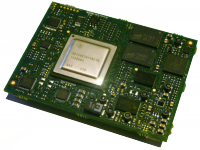 NAON is the top product of DAVE Embedded Systems Esatta Line. It is designed to be easily included in customer's new and existing embedded systems thanks to the inexpensive stacking connectors and pinout compatibility with Lizard and Zefeer CPU modules. Please visit NAON Web Page for more product information. Please subscribe to the Naon Pages Updates RSS Feed using your favourite RSS reader to be notified on wiki pages updates related to NAON. This category collects all the pages specific to NAON modules and related carrier boards. This page was last modified on 11 November 2016, at 09:01.